There was no denying the power of Wonder Woman this weekend as the second full weekend for the latest DC Extended Universe picture saw the smallest percentage drop from week one to week two since the original Spider-Man in 2002. While everyone who was a fan of what Warner Bros. was doing with their DC Comics characters was hoping Wonder Woman might be their saving grace I don't know that any of them (and I include myself among that group) could have anticipated the phenomenon this thing is quickly becoming. Not only in terms of quality and box office returns, but in the narrative and buzz that has come to surround the film. It feels like something of a cultural event; people who don't typically talk about or go to the movies are talking about Wonder Woman and it just so happens that kind of free press is reflected in the numbers. In its second weekend (after posting staggeringly good numbers throughout the week as well) Wonder Woman brought in another $57 million bringing its domestic cume to more than $205 million after just ten days in release. Meaning that aforementioned low percentage drop between weekends comes in around the 45% mark. To further put things in perspective, Batman v Superman: Dawn of Justice dropped 69% in its second weekend, with Suicide Squad at 67% and Man of Steel coming the closest with 65%. Of course, while Wonder Woman easily won the weekend much of the talk going into the weekend concerned just how hard Tom Cruise's The Mummy was going to flop. Coming in a distant second this "re-boot" of sorts that is also intended to kick-start Universal's own cinematic universe in what is now being labeled the "Dark Universe" came up short out of the gate, at least domestically, as the film scored only $32.2 million which is even less than what the third, much maligned entry in the Brendan Fraser Mummy trilogy opened with when it made $40.4 million on its opening weekend in August of 2008. That said, the real story for The Mummy, Universal, and its potential cinematic universe lies across the pond as the film opened internationally with $141.8 million to become Cruise's largest worldwide opening ever. 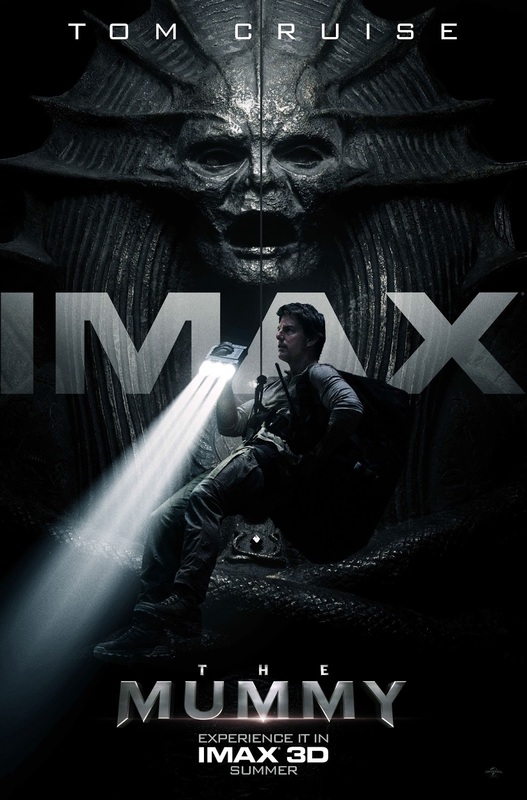 Debuting in sixty-three international markets, including China where it brought in an estimated $52.2 million, The Mummy also made $17.8m in South Korea, $7.6m in Russia, $5.1m in Mexico, and $3.6m in Brazil for a $174 million global launch with openings still left in France and Japan. As always, be sure to follow the official Initial Reaction YouTube channel as well as on Facebook, Instagram, and Twitter where you can find a new review (or reviews) each week! Read my full The Mummy review here.